We hope you’ve settled in to the summer routine by now, whether that means juggling the kids and work or scheduling more down time to enjoy friends and family. Around here, we focused as always on being your support system as you work to further establish yourself in the design industry. But we do take time out for some fun! 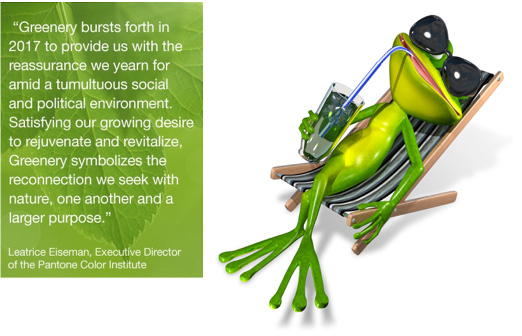 Among all the reasons we love summer, July is a prime month for those blessed with a green thumb. A lot of unique flowers choose this time of year to reach their prime. 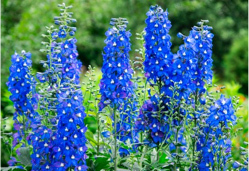 For starters, delphinium, sometimes called ‘larkspur,’ is the birth flower for the month of July, its bloom symbolic of an open heart and ardent attachment. 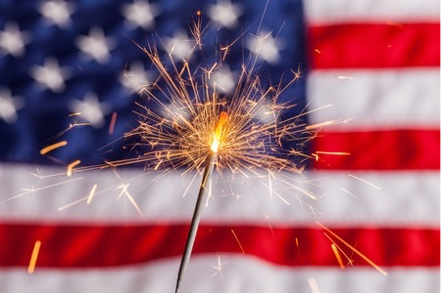 July is also the time to celebrate America with Fourth of July events in every town across the country. Take this opportunity to remember just how precious our freedom is and to thank all of those who work to keep us safe at home and abroad. Happy Fourth of July to each and every one of you! Enjoy the season and remember to take some time for yourself. Flowers aren’t the only things that blossom when they’re nurtured! As the birthplace of the United States, Philadelphia provides another patriotic location for a one of the nation’s greatest fireworks show. An eight-day festival leads up to grand finale fireworks display over the Philadelphia Museum of Art. The museum provides a dramatic background for a dramatic fireworks show. The fireworks show on the San Francisco Bay is complimented by some dramatic backdrops, such as the city skyline and the Golden Gate Bridge. The huge bay provides plenty great views of the fireworks, but one of the best views is from the water itself. The fireworks are launched from a barge in front of Pier 39 and on the end of Municipal Pier. This 43-year-old fireworks display provides musical entertainment as well as a grand fireworks display over the Charles River. The family-owned company that does the city's show holds the Guiness World Records for “Largest Fireworks Display” ever recorded and “Largest Pyrotechnic Image,” according to Boston’s Fourth of July website. The company is Fireworks by Grucci. Summer is the best time and this year will be even better.